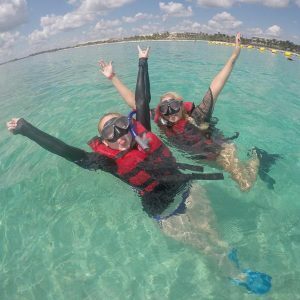 Adult $71.50: Retail Price $89.00 | You Save $17.50! 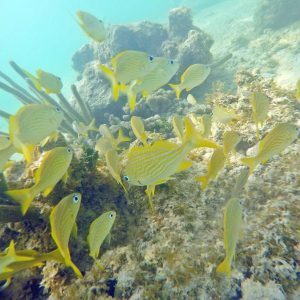 Snorkel in a massive, protected inlet and discover the spectacular marine fauna that inhabits this unbelievable underwater world. 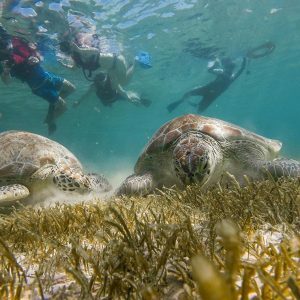 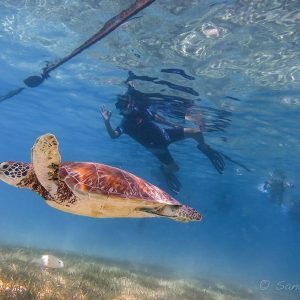 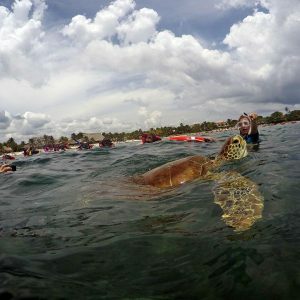 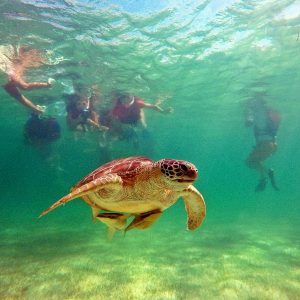 Float and swim above amazing coral where you may see sea turtles, rays and a host of brightly colored tropical fish. 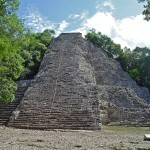 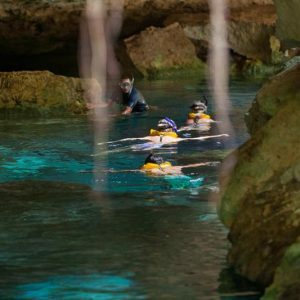 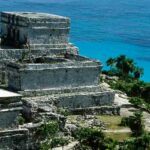 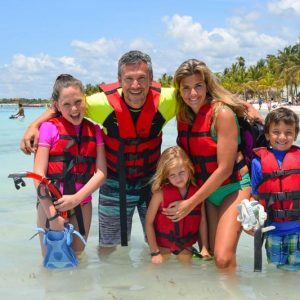 Afterwards journey into the subtropical rainforest of the Yucatan Peninsula and explore the unforgettable world of underground rivers and cenotes. 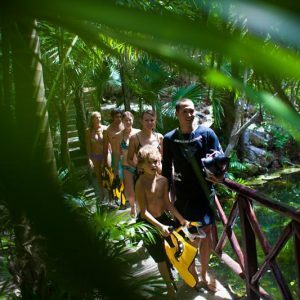 Take an easy, guided walk through huge caverns and observe natural history dating back millions of years. 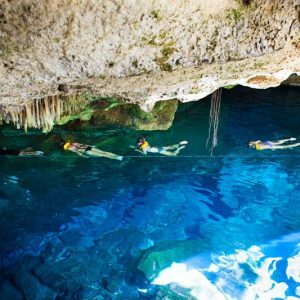 Swim in the crystal clear blue waters of these unique limestone pools and relax amongst the thousands of white stalactites and stalagmites that surround you at every turn. 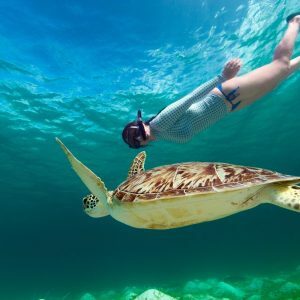 What to bring: Comfortable clothes and sandals, sunglasses, swimsuit, towel, BIODEGRADABLE ONLY sunscreen and mosquito repellent, cash (pictures, souvenirs and tips).